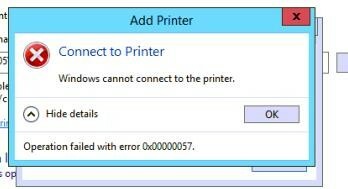 Several times, I ran into the following issue: when trying to connect a network printer from one of the print servers, the error 0x00000057 Windows cannot connect to the printer appeared on a client machine. The error occurred during the installation of the printer driver from the Print Server, and, as I found later, is fixed on the client side. The steps to solve this problem are described below. If the driver of the network printer you are trying to connect is already install on the problem computer, try to remove it from the driver store manually. 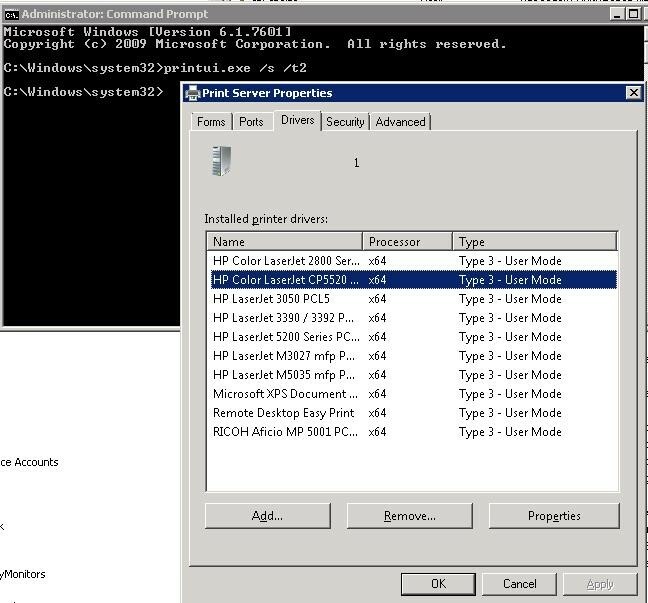 To do it, open the dialog box with the list of the print drivers installed locally and delete the driver of the printer you want to connect (both x64 and x86 versions). After you have removed the driver, try to connect the network printer again. If it didn’t help or there was no driver in the client system, do the following. Find the registry key with the name of the printer driver you want to install and export it in a Reg file. Go to C:\Windows\System32\DriverStore\FileRepository and find the name of the folder the registry parameter points to. Now try to find this folder on the problem computer. It is most likely to be there, but it is empty. It indicates that the driver installation process was interrupt. Edit the NTFS permissions for this folder (it is likely, you will have to become its owner) and add Full Control privileges for the group of local administrators. Import the reg file to the problem computer and copy the contents of the driver folder from the normal computer to the problem one. Try to connect the printer. The client should download and install the driver from the Print Server successfully. If none of the solutions helped, go to C:\Windows\System32\DriverStore\, back up infpub.dat, and grant the group of local administrators Full Control permissions. Then try to install the network printer.